Who doesn't love a good gastropub? A relaxed setting serving top-notch food and quality drinks. At Cool Places we list an array of such taste tickling places, ranging from pubs in Cornwall and Oxfordshire to watering holes in Gloucestershire and Yorkshire. What's more, some of them have rooms, so you can make a proper weekend of it. We're currently in the midst of British Food Fortnight, a celebration of what the country has to offer; the perfect time to hit the road and check out a foodie destination. Set in the picturesque, tiny village of Filkins, this cosy Cotswolds bolthole is the baby of Sebastian and Lana Snow. The main draw is the unmissable food; menus change regularly but some of our favourites include chargrilled country toast with girolles mushrooms and poached duck egg and crab, chilli, garlic and parsley linguine. Need a rest after a hearty meal? Check-in to one of their nine boutique rooms. Worth noting: they also have have the excellent and slightly smaller Plough in Kelmscott and The Bull in Fairford). With a Michelin-star under its belt since 2010, this East Yorkshire pub dishes up clever takes on traditional favourites alongside more extravagant offerings. Expect the likes of white crab meat, cobnut waldorf, sorrel, burnt apple puree and brown crab cracker and slow cooked lamb shoulder with green lentil dhal, cardamom carrot, mint yoghurt and samphire bhaji. Don't want to leave? Hunker down for the night in one of their stylish suites. A contemporary country inn that's a convenient home-from-home for both Oxford and the Cotswolds, the on-site pub, The Mason Arms, is a snug and welcoming spot for a bite to eat. Devour dishes such as BBQ mackerel with cucumber, horseradish and saffron potato, or onglet with roasted shallot, broccoli, bone marrow sauce and chips. They have rooms too, the ultimate in comfort. And don't forget their other properties in London, Penzance and Brighton. Here is most certainly a foodie place, a Cornish pub in a middle-of-nowhere spot, worth the journey for the innovative seasonal plates of food prepared by chef Max Wilson. Using local ingredients (seafood caught by a local fisherman, greenery from small growers), the daily-changing menu features dishes like cod tongue with ham hock, parmesan cassoulet and garlic oil and pork collar with black pudding. The added bonus? They have rooms where you can lay your head for the night, ultra comfy ones at that. Sitting pretty in the Welsh Borders just one place in the list from sister gastropub the Gurnard's Head, the renowned Felin Fach Griffin is a relaxed place with a fine selection of local ales, and high-quality, delicious food (they also have seven characterful rooms). Who can resist the likes of Huntsham Farm middle white sausages with mash and greens, or oak smoked salmon fishcake with aioli and leaves? The owner must be doing something right. 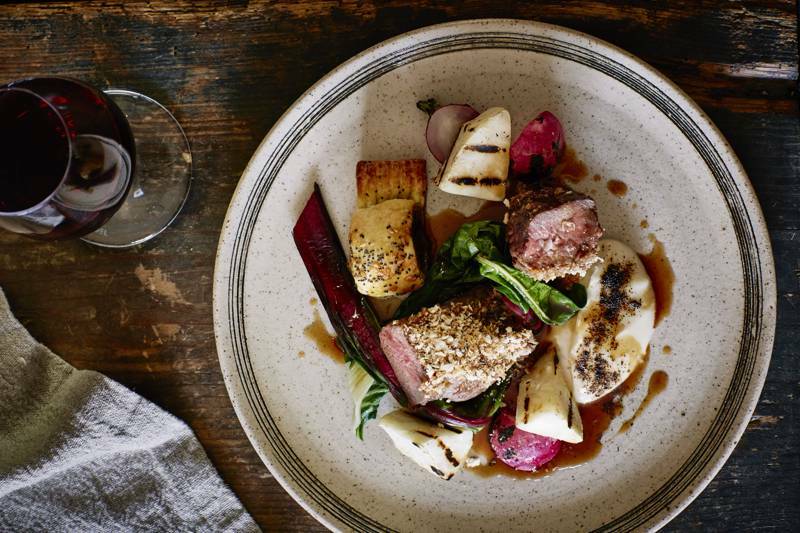 See the official Top 50 Gastropubs list here, or browse our own list of Pubs with Rooms and Pubs and Inns to find the perfect venue for a gastronomic weekend away.